MIDWOOD, Brooklyn (WABC) -- A 17-year-old girl suffered burns to her face after a classmate reportedly lit her hair on fire in a Brooklyn school Tuesday. The victim was in class at Midwood High School when police say 17-year-old Gailson Ludovick took out a cigarette lighter and lit her hair on fire just after 9 a.m. The girl sustained an injury to the left side of her ear, and her hair was burned. She was taken to Maimonides Medical Center for treatment of minor injuries. 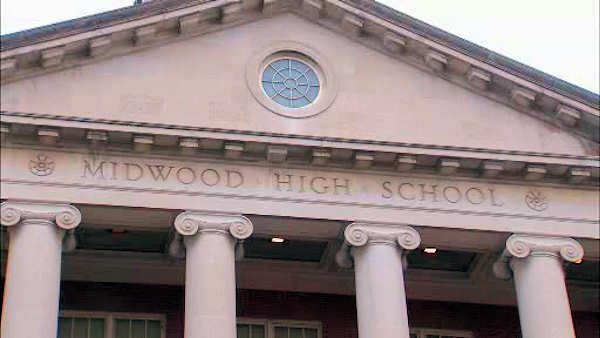 "EMS and the NYPD immediately responded to an incident that was reported at Midwood High School in Brooklyn today. Safety always comes first, and we are working in close partnership with the NYPD to swiftly address it." Ludovick was arrested in the school and charged with felony assault.